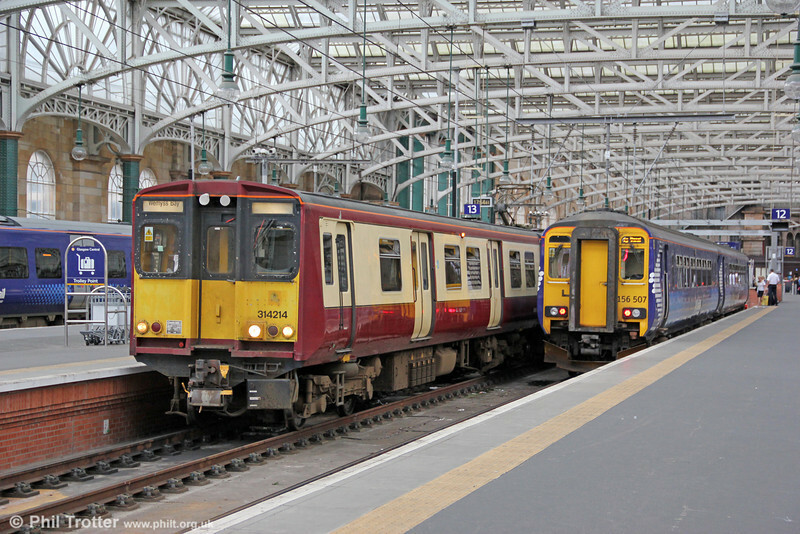 314214 and 156507 at Glasgow Central on 4th August 2012. 314214 is ready to depart forming 1W17, 1755 to Wemyss Bay. 156507 is destined for the soon-to-be-electrified line to Paisley Canal.